But Terminating after an error can prove very annoying after 4 hours and a process nearing its finish for example. So per application there is an INI file setting to allow you to deal with Returned Status Messages. 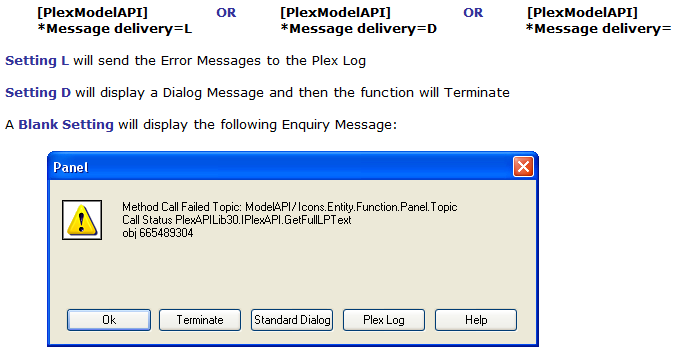 Initially you may want to report all errors but to continue with the process but as your application model(s) settle you can choose Dialog Message with Terminate. OK - Option allows you to continue...but depending on the Error the application may still go bang. Terminate - Allows you to end a process. Useful after seeing a message for the twentieth time and you can see what is wrong with out having to see any more.